The story of the Brilliant Life Planner + Your Questions Answered! Earlier this year I had a dream to create a product that was as beautiful as it was functional. I wanted to create a planner that focused on goals, priorities, and the things that matter most to me. Brilliant Business Moms first delved into the world of papers and planners with our inaugural planning product, The Brilliant Business Planner. (Now available as a printable in our shop and a free bonus with every BLP purchase). We spoke to our community of mamaprenuers and asked them what they needed to be more successful. They all said help with time management! 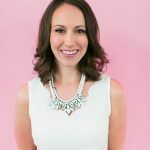 In addition to literally writing a book about it – Time Management Mama – we developed our first paper planner specifically for moms in business. We developed, designed, and printed this product ourselves, and even got our kids to help with the promotion! We got so much great feedback on our first planner, but we also had a lot of women with all sorts of great big goals asking for a planner that would work for them too. They didn't have a business, but they wanted access to the same brilliant layout and planning tools that the business mamas had. What if this dream could be bigger?? The Brilliant Life Planner was born. On August 22nd we launched the Brilliant Life Planner as a one-month Kickstarter project and doubled our goal of $15,000 in planner orders. And you, our community of brilliant women, have watched with anticipation as we took the Brilliant Life Planner from idea to reality. As I write this post our very first orders have just shipped all over the world. Pictures and comments are pouring in. The kindness is overwhelming! We seriously love that this product is just what you needed to live a more meaningful life. Many of you have even said you don't want to write in your planners because they're too gorgeous. Oh sweet friend! WRITE IN THEM! Write your dreams and goals. Plan your day and weeks, pack them with meaning and purpose. Embrace who you are fully and freely. It's your turn to be brilliant. Our planner is your planner. Thank you for being on this journey with us. 2017 is going to be an amazing year! Do I need to have a business to find this planner useful? The Brilliant Life Planner isn't just for business owners. It's a keepsake that gives all women the tools to achieve their dreams, whether that is growing a business, growing a family, or all sorts of things in between. I believe every woman has passions she's scared to pursue. The Brilliant Life Planner will help her bring those passions to life. The Brilliant Business Planner is available as a printable in our shop, but it also comes free with every Brilliant Life Planner purchase. 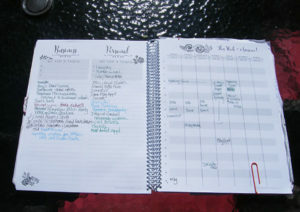 What makes your planner different from other planners? Designed for all brilliant, busy women, the Brilliant Life Planner helps you turn your passions into goals, and your goals into reality. This planner is so much more than “just another planner,” it's a whole new way of viewing life, setting goals, and staying focused on what matters most. What size is it and will it fit in my purse? 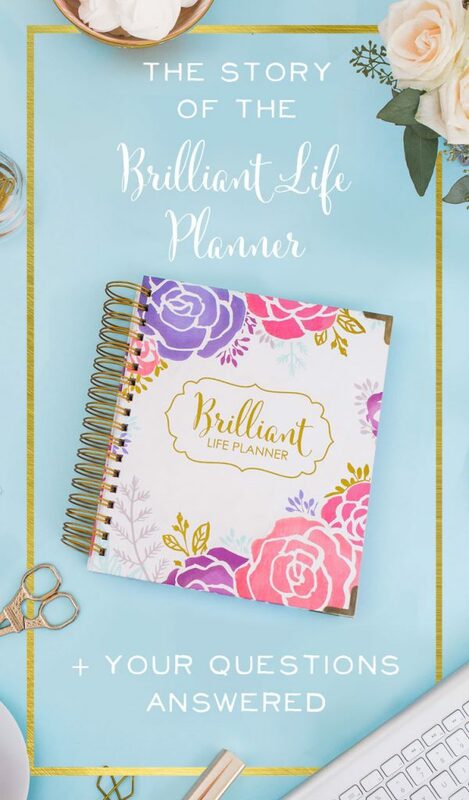 The Brilliant Life Planner has a hard, durable cover: This planner can be tossed into the back of your mini-van, covered in stickers, or used as a fort. No matter what your family puts it through, this planner will last! The planner is a portable size at 9 ⅛ in. wide by 9 9/16 in. tall. I heard there are some bonuses that come with this planner. What are they?